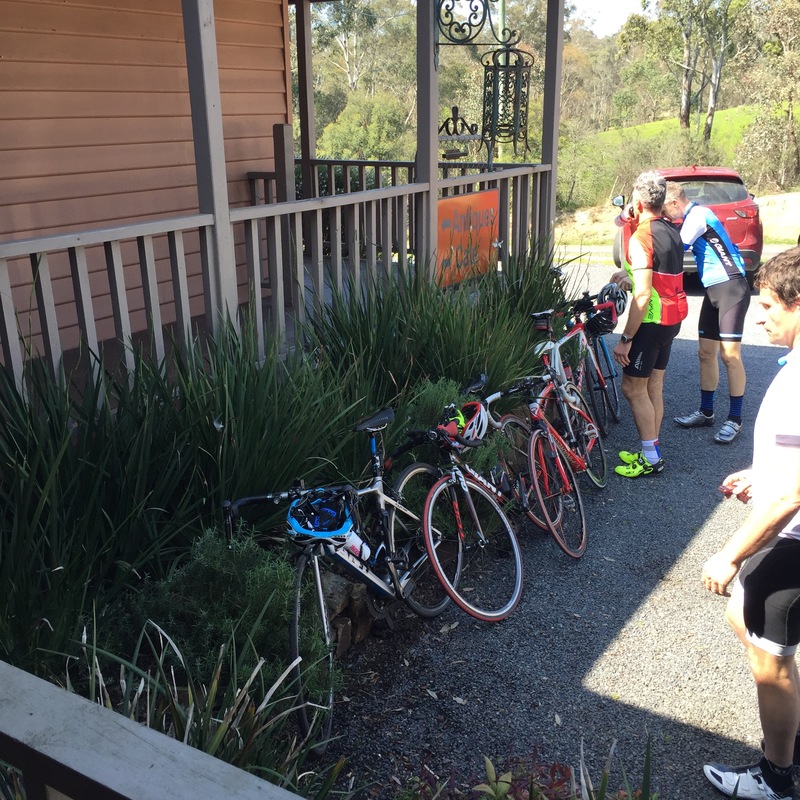 The September ride from Warrrandyte went out to Yarra Glen via Wonga Park and back via the Eltham Yarra Glen Road. There were 9 of us. David, Chub, Marty, Andrew, Richard, Karl, Frank, Don and Alex who met up at Warrandyte Bakery and negotiated the moderately busy roads through the Yarra Valley vineyards. Frank was the lead man mostly taking the hills and then coming back for a couple of us who were behind. We decided to stop at Watson’s Creek Antiques & Café which used hard to navigate through to the tables. Recently the antiques were moved out and placed opened up for easy access. The staff (or other customers) aren’t used to lycra and cleats getting about but I think they can be educated. The coffee was fine and those who got fruit toast seemed to really like it. The location is not at the top of a hill or somewhere where it seems a natural stopping place on a ride but on our 50km ride it was good. 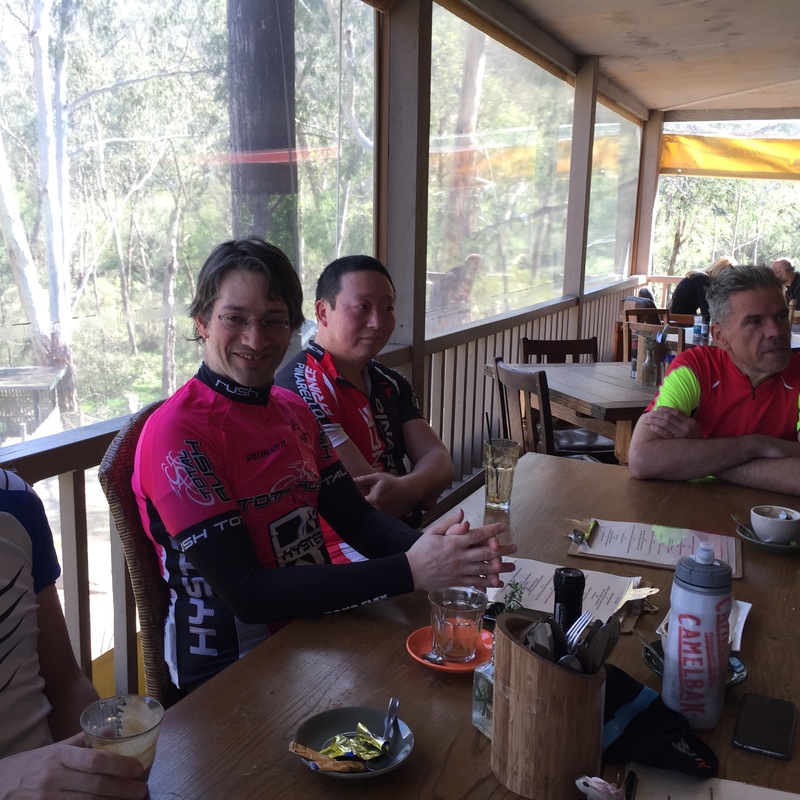 The bunch split there and Frank and Karl headed up to Kinglake and about five of us went back through Warrandyte. A good loop with the opportunity to do some extras. Dietmar just missed us at Warrandyte this morning. Thanks all for turning out. The next GreenWEDGE Cycling ride will be on October 18. Details to follow.